Love this Sitting Area! This space is soooo perfect for entertaining. 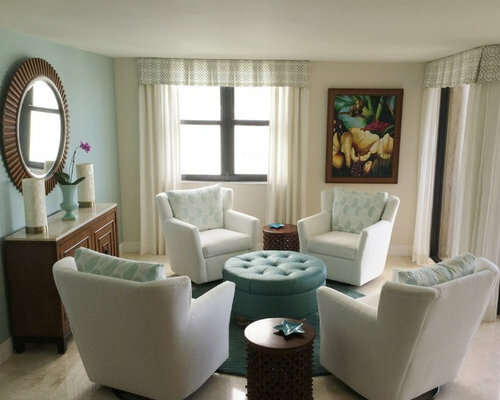 The chairs swivel to ocean views and are perfect for conversation flow in this Great Room. The client asked for a light, fresh look. I added some blueish tones to pick up on the ocean colors. The round area rug really grounds the space. It's sophisticated, but yet charming.